Metro Vancouver is making big investments in major transit projects, but a recent study shows the region is struggling to keep housing affordable along SkyTrain lines. Metro Vancouver is making big investments in major transit projects, but a recent study shows the region is struggling to keep housing affordable for low-income families near SkyTrain lines. The first phase of the Transit-Oriented Affordable Housing Study concluded in 2017. It found a dearth of affordable rentals near transit hubs where land costs have risen in response to new developments and higher density. Last Friday, Metro Vancouver staff told the regional board they're kicking off the second phase of that study which will examine potential solutions including requiring developers to include affordable rental units in exchange for taller towers — sometimes known as a density bonus. "The challenge here is trying to make sure that these transit-oriented communities which we desire are also equitable in terms of finding ways to accommodate the lower-income households," said Metro Vancouver senior planner Raymond Kan. "There are no silver bullet solutions." 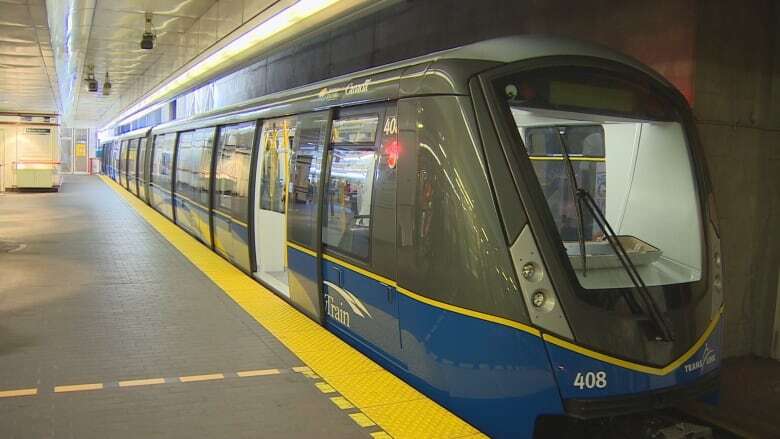 Just two days earlier, the majority of Vancouver city council voted to endorse extending the future Broadway SkyTrain project all the way to the University of British Columbia. It was previously approved only as far as Arbutus Street. Meanwhile, renters worry about what the future holds. Sydney Ball, who sits on the Vancouver Tenants Union steering committee, says past projects like the Canada Line to the Vancouver International Airport — completed in 2009 — haven't instilled her with confidence about the city's commitment to protect renters. Most of the housing built along the line were new condos for sale, she says, and not many of them are affordable. Ball hopes the Broadway SkyTrain will be different. "It's scary to be renting in Vancouver — you feel insecure all the time," she said. "It really needs to be happening now that the city thinks about how to protect that land for affordable rental housing." 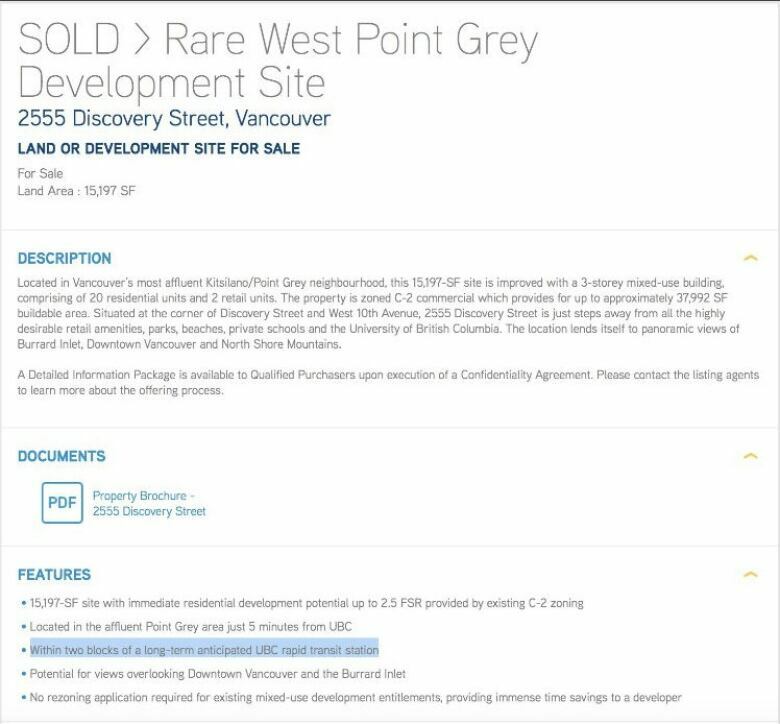 Ball says some land owners are already trying to profit from the proposed UBC SkyTrain and are advertising it as a selling feature. Vancouver Coun. 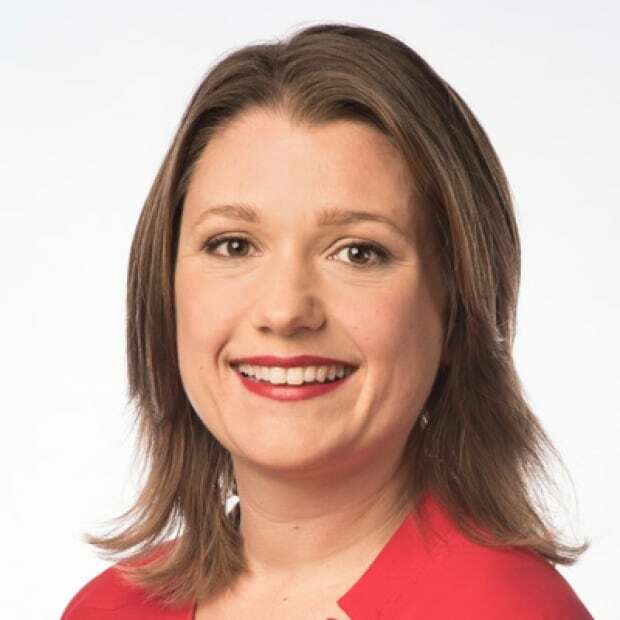 Christine Boyle voted in favour of the UBC extension saying transit projects support the city's goals to mitigate climate change. She thinks transit expansion and affordable housing can go hand in hand. "The status quo is not working for renters in this city, and so not building new transit isn't going to improve the situation either," she said. "We need to figure out how we move these things forward in tandem rather than clinging to what's not working out of anxiety about what change might bring." Boyle says the city has already implemented one of the solutions the Metro Vancouver study will examine — rental only zoning, which the province approved last spring. The designation is meant to curb real estate speculation and keep existing rental stock from being converted into condos. And last fall Vancouver passed a motion to explore the possibility of a land value tax which would capture speculation-driven value and use it for more affordable housing, Boyle says. "We know that affordable housing isn't just created on its own. It needs to be an intentional focus and priority in the way that we make decisions," Boyle said. Coquitlam Mayor Richard Stewart is well aware of the increased housing costs that accompany new mass transit projects. In 2016, the Evergreen Line brought the SkyTrain to his community along with new housing around each station. "The region actually desperately needs this housing," he said. "Almost no rental housing was built in this region for about 40 years." Stewart says the new homes aren't as affordable as older buildings and that's to be expected. But he regrets not pushing the province harder to build the stations further from that older rental stock. "The pressures to redevelop those sites can be enormous," he said. "Some folks count on that housing and we need to make sure as a society that we aren't displacing them." Phase 2 of the Transit-Oriented Affordable Housing Study's findings is scheduled to be released in April 2019.